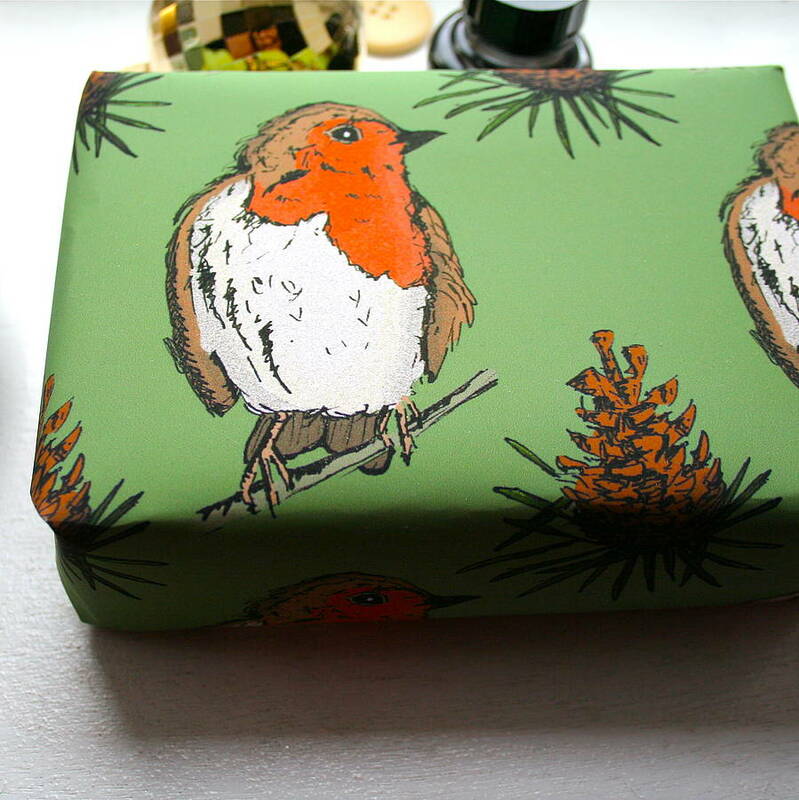 Wrap your gifts with woodland flair! This Christmas wrapping paper is covered in original black ink drawings of Robin and festive, wintery Pine Cones! 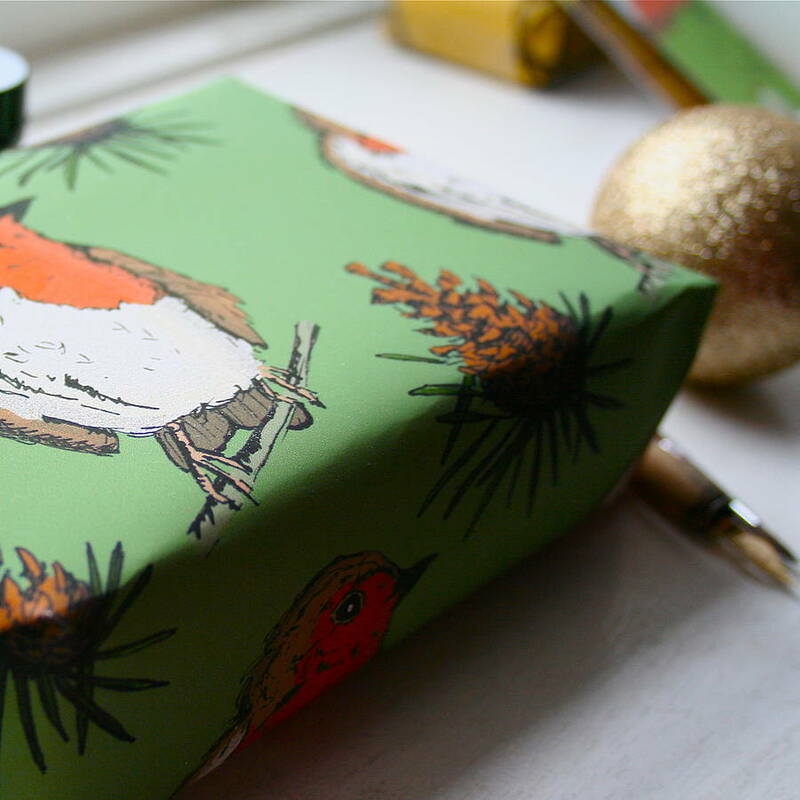 Perfect for bringing a hint of winter wildlife into your celebrations, this Robin Christmas gift wrap would add a little woodland flavour to festivities and look lovely beneath the tree! 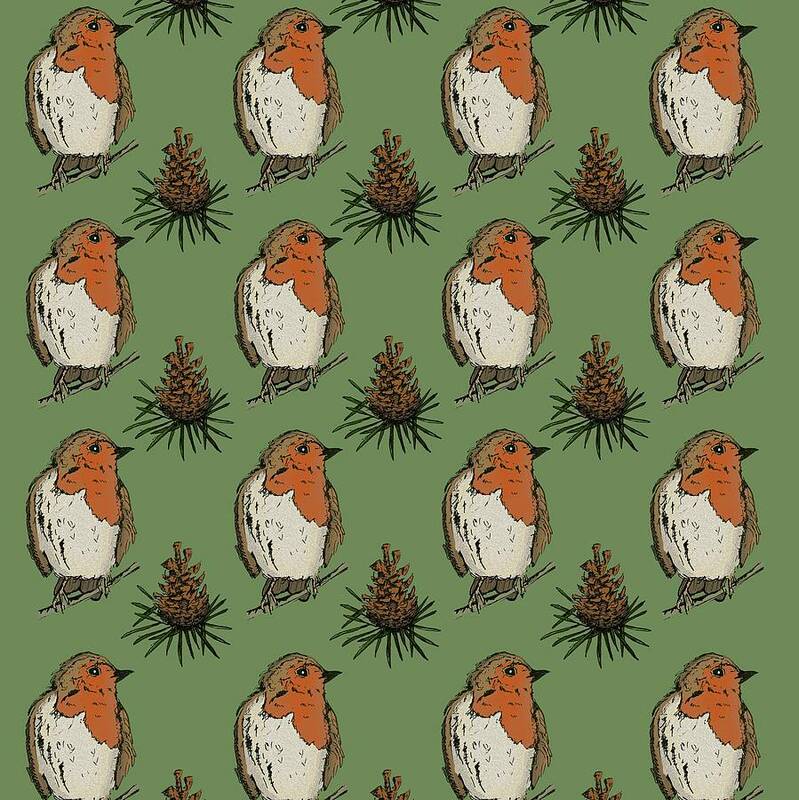 The A2 sheet of wrapping paper is dark green and covered in a pattern alternating between Robin and the pine cones that often litter the forest floor during the cold winter months. 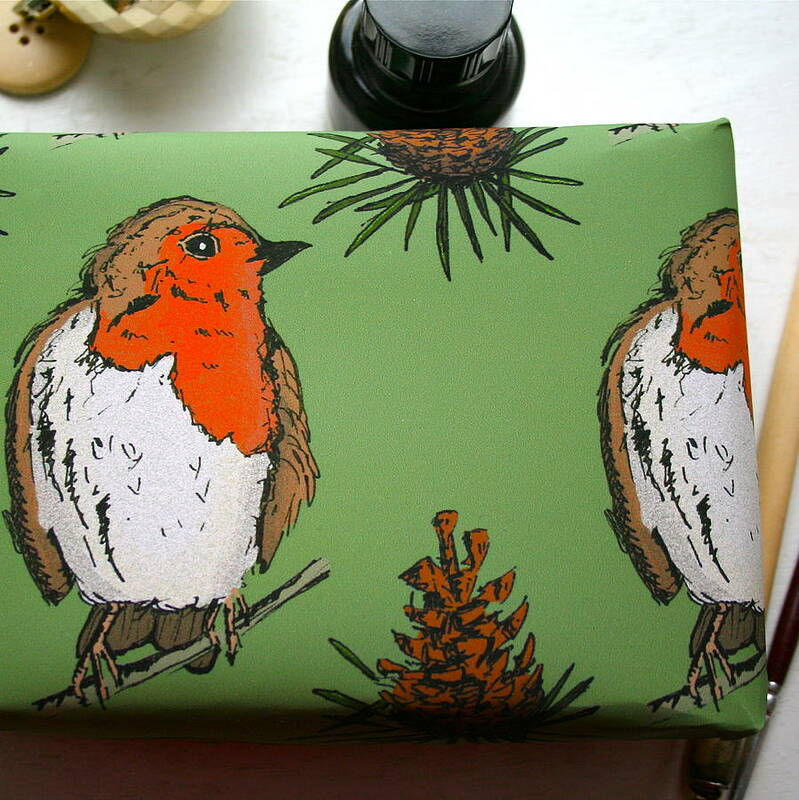 This wrap would be ideal for someone with an affection for our feathery friend with a fine red waistcoat, or for anyone who loves animals, artwork, and hoarding beautiful Christmas wrapping paper! Printed by a UK based eco-friendly printers, from my own beautiful drawings, onto 100gsm 100% recycled paper. Your wrapping paper will arrive beautifully packaged, snug and safe, either folded or rolled into a tube.